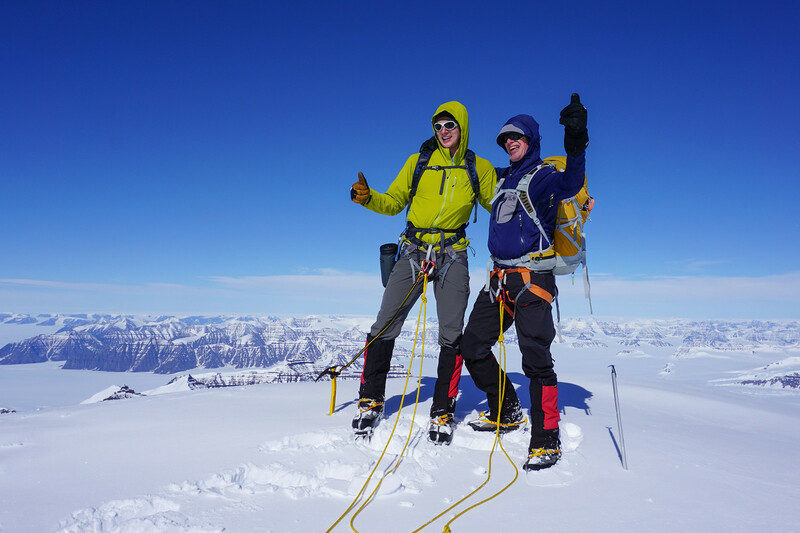 Climb the highest peak in the Arctic! Greenland’s highest mountain Mt. Gunnbjörn is also the highest peak located north of the Arctic Circle. Therefore, it does not just hold the title of being the highest peak in Greenland but is also the highest peak of the Arctic (3694 m/12120 ft). Because of the massive size of Greenland, Mt. Gunnbjörn has been called the 8th continental peak. On the east coast, where massive mountains rise from the Greenland icecap, the conditions are pristine or similar to those you find in Antarctica. Mt. Gunnbjorn is easily accessible on a ski-plane from Iceland. Once in the Watkins Mountains, we set up a comfortable base camp at the foot of the mountain. To make the summit day easier we establish one camp on the way to the summit. The climb can easily be done on snow shoes with only the last part done on crampons.